Egypt had previously closed four ports on the Red Sea and two on the Mediterranean due to bad weather, officials said on Sunday. Over the weekend, the ports of Suez and Zeitiyat were shut in Suez governorate, the Red Sea Ports Authority said. 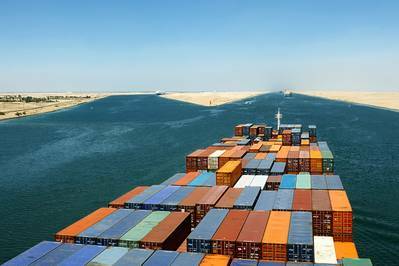 Adabiya and Ain Sokhna ports, in the same governorate, also closed, a source at the General Authority for the Suez Canal Economic Zone said. Today, Egypt reopened four ports on the Red Sea on Monday, a day after they were closed due to bad weather conditions, authorities said. The ports of Suez and Zeitiyat in the Suez governorate and the Hurghada port in the Red Sea governorate reopened as the weather improved, the Red Sea Ports Authority said. The Sharm el-Sheikh port in South Sinai was also reopened. The Egyptian Meteorological Authority said "active southwesterly winds in the north of the country are stirring sand and dust, leading to the disruption of maritime navigation on the Red and Mediterranean seas".